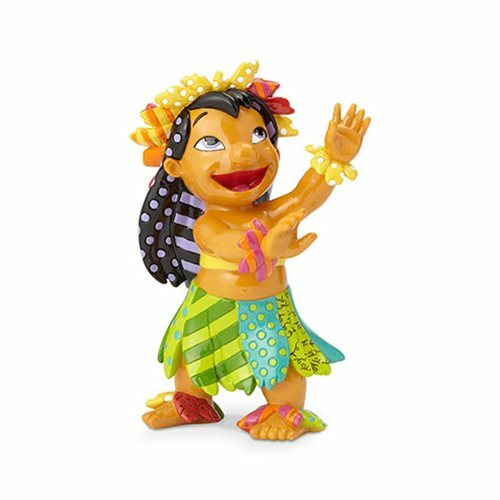 Hula alongside the spirited, lovable Lilo! Acclaimed pop artist, Romero Britto, showcases Lilo's creative, unique personality in this fun piece. She gracefully performs in her hula costume, adorned in refreshing patterns and bright, tropical hues. The Disney Lilo & Stitch Lilo Statue by Romero Britto is a must for fans of the hit Disney movie. The stone resin statue measures about 8 3/4-inches tall x 5 3/10-inches long x 3 3/4-inches wide.